Our Spanish courses are Individually designed and meticulously executed with internationally proven methodology to assure you achieve your Spanish communication goals faster than you ever thought possible. Spanish is the official language of about 333 million people. After Mandarin and English, it is third most spoken language in the world. Our Spanish courses are individually designed and meticulously executed with ISO9001 Quality standards and internationally proven methodology to assure you achieve your Spanish communication goals faster than you ever thought possible. Whether you require Spanish for social or business objectives, EES can provide you and your organisation with a Spanish language course that meets your needs. You speak 50%-70% of the class time. EES has a variety of course formats, from intensive, month-long courses to extensive, one-to-one modular lessons. Our Spanish language courses are available at our training center located in Providencia, Santiago just one block from the Tobalaba metro Station or in company at your office. Whether you require in-company or individualized Spanish classes with a private teacher and classroom, EES can provide you and your organisation with a Spanish language course that meets your needs. All EES Spanish instructors are native speakers with at least 2 years’ professional teaching experience. Not only do our instructors posses relevant academic and linguistic qualifications, but they also have considerable exposure and expertise in the professional world. After a complete diagnostic and communication needs analysis, EES will assign you the most appropriate instructor to meet your objectives and focus. This link is by far one the most useful, high quality free online Spanish resources we’ve come across. The site contains practice for Spanish students of all levels. Here you’ll find multi-media practice activities, facts about Spanish speaking countries, Spanish vocabulary building exercises, facts about local customs, level tests,l inks to Spanish Television and radio. 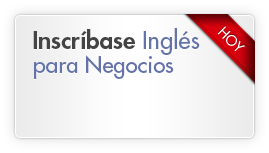 You can also subscribe to receive free weekly tips to improve your Spanish commutation skills. Spanish Lessons Supplements and Free online Resources Click Here! Our experienced teaching staff employs the Communicative Language Teaching method adapted for adults. Our approach focuses on the use of authentic language and having the student learn to do meaningful tasks in Spanish. Such tasks can include visiting a client, attending a meeting, conducting an interview, resolving problems in person and on the phone or socializing. Our Spanish classes are based on your specific communication needs which are pre-planned to reach your objectives quickly and efficiently. Each class takes you through five progressive stages which will allow you independent use of the target language and function by the end of each session.